Many tutors find that concentration is one of the biggest issues for students, and one that tutors find a lot of time focusing on in their lessons. Careless mistakes account for a huge number of lost marks in maths problems, where one mistake - doing a plus instead of multiply, for instance, or putting the decimal point in the wrong place - can lose all the marks in a question. These careless errors stem from the inability of the mind to concentrate. But how can we avoid them? Slow down . Hang On a Minute. Underline Stuff . Visualise with Vivid Images. This strategy can be adopted by parents to support their children with their maths homework. “I am just going to slow down for a bit here”. Repeating this sentence exactly sends a signal to your brain to slow down and start thinking. Even when your child doesn’t feel that way, this will help to shut off automatic guessing mechanisms. Besides the obvious benefit of underlining key points from questions, following the question with a pen fixes your gaze to one word at a time and reduces the ‘scatter brain’ syndrome where your mind just tries to look everywhere. See speeder.com for some examples of this. Daydreaming can be controlled by deliberately trying to visualise an image or picture that is partially relevant to the question. Whenever your child sees a question on gradients, he or she can visualise a playground with a slide and the formula of the function floating around this playground. The more strange the context the better. It is important to remind your child that paying attention to detail is an art form that has to be practiced! For private maths tuition tailored to your needs search in your area and for the level you want, e.g. 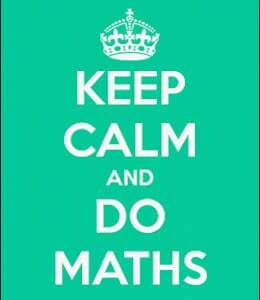 GCSE maths tuition, A-level maths tuition, and boost your learning.